Happy TGIF! I'm looking forward to spending the day with LO while running some errands. One of my goals will be to cut back on my monthly expenses. The first to go will be my cable bill. I'm hoping that I can look into internet streaming via Netflix, Hulu, and TV network websites. It'll save us quite a bit of money, especially since I don't watch much television. The only technicality I'm trying to figure out is HOW to stream the internet. I tried hooking up an tower but I think it might be too outdated. I read recently that Google released a dongle(giggle) that's suppose to be really effective. Has anyone done this and gone cableless while strictly watching streaming only TV? How do you like it? I noticed that I've been swatching a lot of blues and teals this summer, so I decided to go bright red with American Apparel Downtown LA. It's a squishy jelly leaning bright red cream that has some pink undertones. It had a slightly watery formula with no streaking, and it was nearly opaque in one coat. I used two coats for the camera with no topcoat. 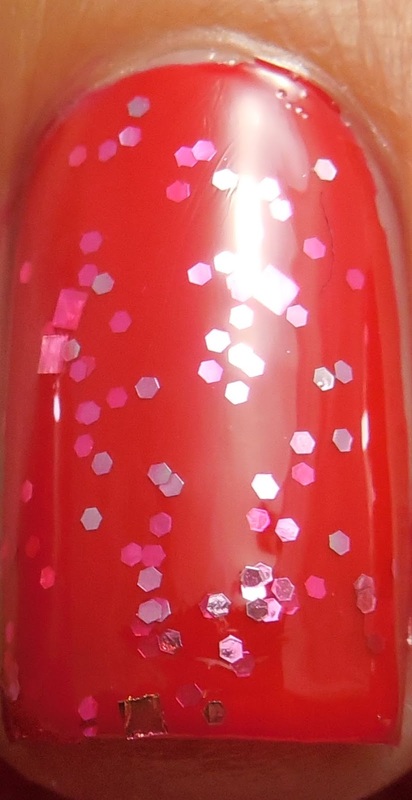 Next, I layered over a coat of Hare's reformulated Leap Light Year, a red jelly based glitter with pink and fuchsia hex glitter. There's also a smattering of pink squares in there. I didn't have any difficulty with application, but I did find the polish a touch sheer. I think it might take 3 or 4 coats to get any opacity from this shade. This is with a layer of NYC GCS over top. 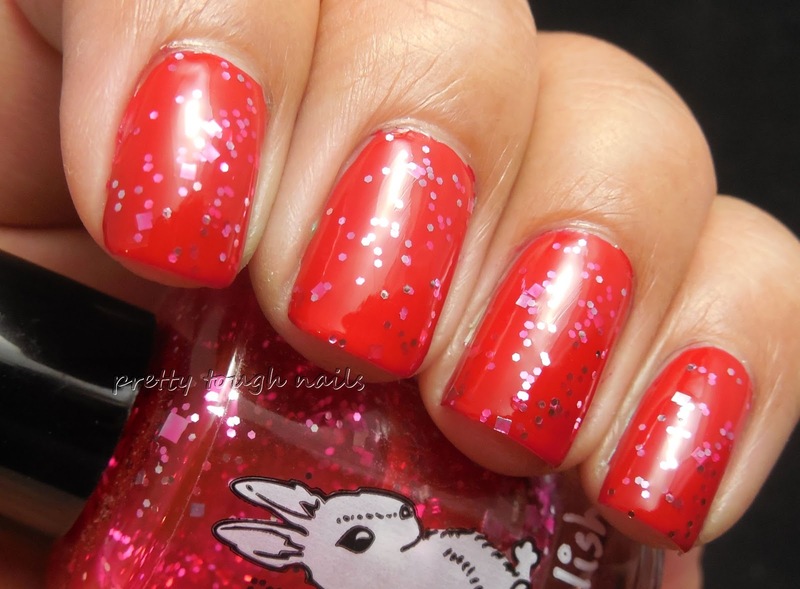 I love the combination of delicate glitters in Leap Light Year, but I'm craving more square glitters. 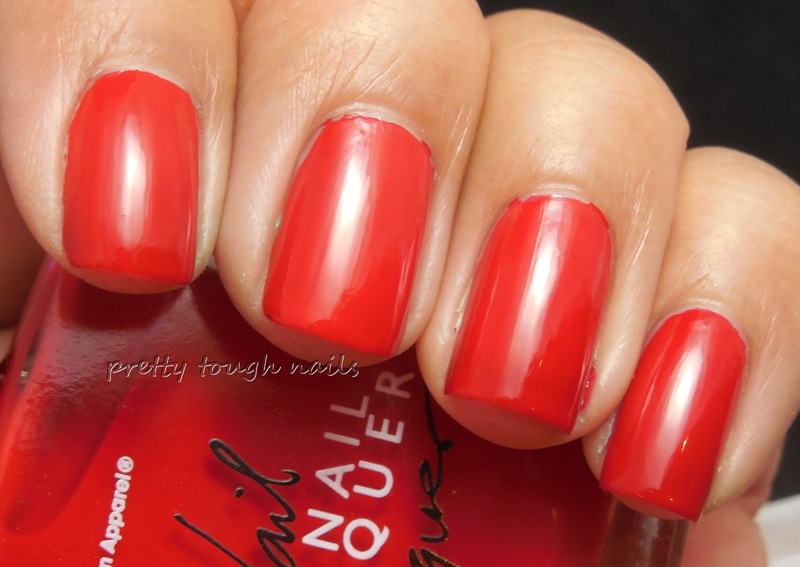 I also miss my squishy jelly polish effect, and the polish looks flat with no depth. The red is a stunning shade, but I think I might have to go back to basics and just do lots of thin layers of Leap Light Year with no base color next time. 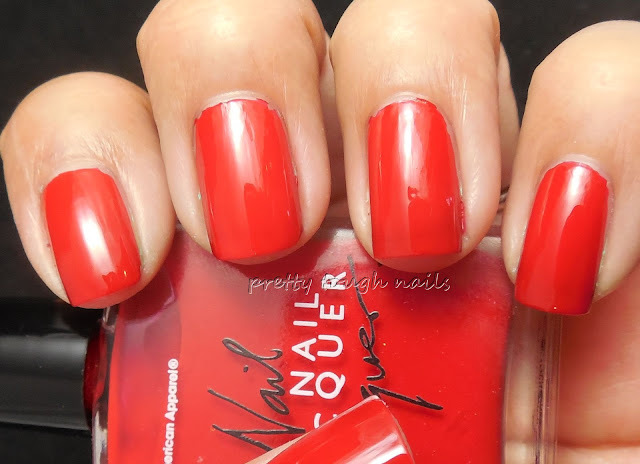 Do you think it's worth sacrificing depth over layers when it comes to sheer jelly polishes?